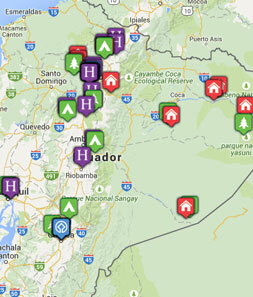 Why visit Cuenca and the Southern Highlands? The beautiful city of Cuenca, founded in 1557, has a tremendous amount of architectural charm, while just an hour away is El Cajas National park, one of the most stunning areas of wilderness in Ecuador. Add the Inca ruins at Ingapirca and you have plenty of reasons to visit this region! The cobblestone streets, colonial architecture, whitewashed buildings and impressive cathedral with its vast, blue-tiled domes in Cuenca, which is now a UNESCO World Heritage Site. 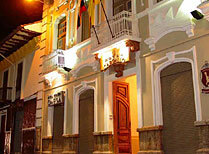 Learn about Ecuador’s cultural history ”“ Cuenca has produced many writers, poets, artists and philosophers ”“ while the Museo del Banco Central ”˜Pumapungo’ offers modern art exhibits and fascinating reconstructions of indigenous houses, together with an archaeological park with Inca ruins. 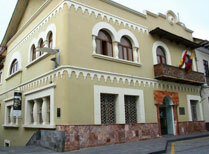 Visit villages such as Gualaceo and Chordeleg, noted for their silver and goldsmiths. Hike in the spectacular El Cajas National Park, its misty, mountainous landscape and hundreds of lakes reminiscent of the Scottish Highlands, but with much more exotic flora and fauna, such as hummingbirds and the gnarled quinua trees. Explore Incan history at 500-year old Ingapirca, with its Inca monument in the form of a unique elliptical-shaped temple. 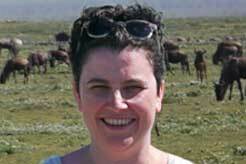 The climate here varies little year-round, though it does have a rainy season, March to June. July through December tends to be driest, but rain can will arrive without much warning at any time throughout the year. 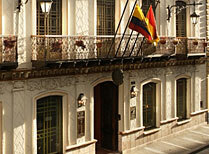 Hotel Carvallo is a colonial townhouse in the historic centre of Cuenca, with attractive rooms and pretty courtyards. Hotel Crespo is the longest serving hotel in Cuenca and offers spacious accommodation in a convenient location for exploring the city. 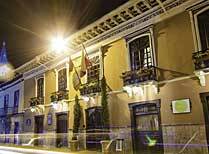 Mansion Alcazar is an elegant hotel offering colonial charm and decor and modern facilities in the centre of historic Cuenca.